We made excuses for you Sir. We told ourselves that because of your role as an opposition candidate that you structured your movements in order not to clash or interfere with that of the then governing PDP. It wouldn't be long before providence "changed" you from being an opposition candidate to being the Commander-in-Chief. Mr. President, during your very first year in office, Anambra witnessed a very tragic fuel tanker explosion in Onitsha that claimed a lot of lives. You cocooned yourself in Aso Rock. 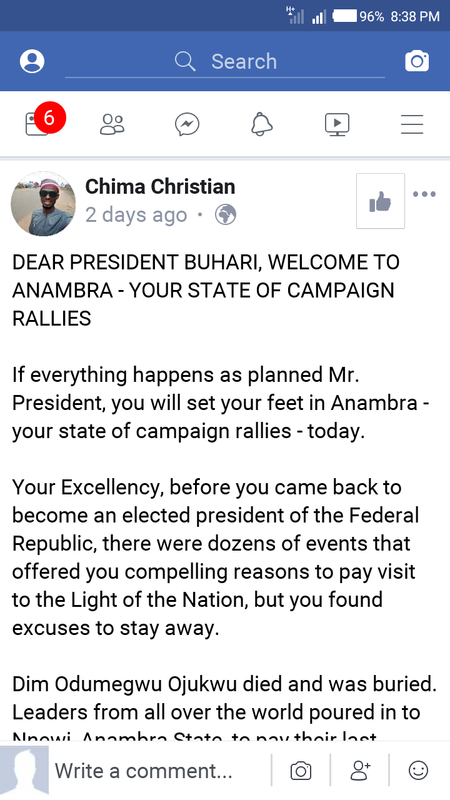 As president, you never bothered with a state visit or found any excuse whatsoever to come, but when it came to Anambra 2017 governorship election, you suddenly found time to come market your broom in Anambra, although you later swapped that broom with a fowl. After the Anambra elections, Your Excellency, an elder statesman, Pa Alex Ekwueme died and was buried in Oko, Anambra State. You couldn't bring yourself to pay your respect, not even during the service of songs in Abuja. Even if you've not put the events of 1983 behind, we reckon that Gen. Yakubu Gowon attended Dim Emeka Odumegwu Ojukwu's funeral. Away from that, Your Excellency. Anambra and other states were ravaged by flood. Again, you cocooned yourself in Aso Rock. 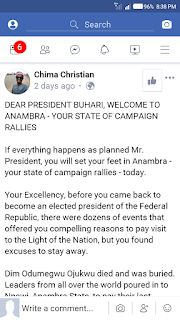 Mr. President, make whatever you can of this information: All your visits to Anambra State in the last twenty years (a pitiful number of them anyway), save for one, are only for campaign rallies. We have been told that besides the planned campaign rally, you are coming to “commission” a repainted grave Sir. No thanks to your 97:5 policy, there are no visible projects initiated or completed by your administration in Anambra after four years! Even if we accept repainting of grave to be a federal project Sir, it is very ironical that you, dear President Buhari, the very exact opposite of the man the great Zik of Africa - a firm believer in one Nigeria - was, is coming to his resting place today probably with the intent to score cheap political points. Even when we lost great Zik of Africa in 1994, you couldn't bring yourself to pay your respect. Just a few weeks to election, you suddenly found out what great a man Zik was. Today, you are now dancing around his grave. Your Excellency, this is the worst display of political expedience in recent history. Your associates may not not tell you this, Your Excellency. Our people are very circumspect. Even if you reverse your previous decision and make Zik's birthday Nigeria's new democracy day, no political gain will accrue to you on great Zik's account. 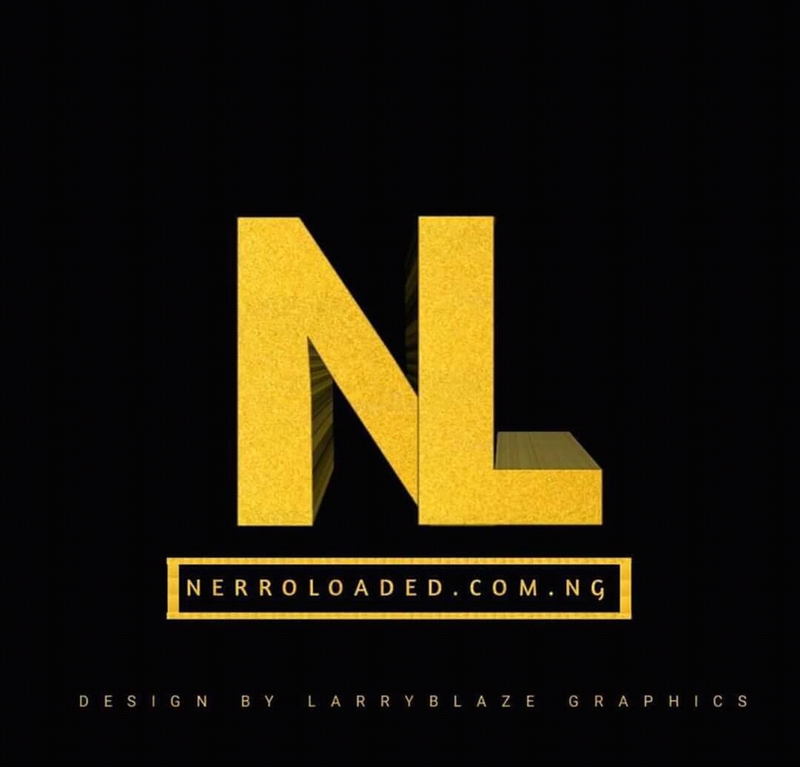 Except if you suddenly take your self to the "next level" and subscribe to the ethos and principles the great Zik of Africa lived and died for. Mr. President, just in case you are already at the crowded campaign ground when this message gets to you, please be informed that you are just a stone throw away from DIG Peace Ibekwe-Abdallah's father's house. You will remember her Sir. As has been your character, you skipped her just a few weeks ago to appoint someone from the part of Nigeria “you trust” as Nigeria's IGP. It's a pity that you couldn't trust her with a sensitive appointment but you are now close to her father's house asking her siblings to trust you with their votes. Before you entered the campaign arena Sir, your convoy drove past the very place where many tragically lost their lives during that dance you sanctioned. Today you are asking their widows and the families they left behind to vote for you even while that provocative dance is still ongoing. Several hundreds of youths laid off from factories that either shut down or scaled down operations due to your poorly articulated forex and economic policies are part of the “mammoth crowd” waiting to receive the two thousand Naira your mobilizers promised to share and entertain themselves with the superstar singer they also promised to bring. Don't be deceived dear President Buhari, the five percenters have decided to take your 5% and give it to the people who already have 97%. As you hurry to get back to your comfort zone before the sun sets on you in the land of the rising sun, we regret that we will never get to see you in Anambra again till the next campaign rally, if God permits. Fare thee well President Muhammadu Buhari. *Chima Christian* "Let's hear your own opinions concerning this message headlines, It's an open platform for all mind's to be shared"